#Microsoft365 -Search is the new Superpower and the ability to search across all your notebooks in OneNote really helps. I have my personal and business notebooks (sections for all my clients) and then of course I have a OneNote for each of the Teams I am a member / owner of. Sometimes I simply cannot remember where I made that note. You’ll see the search bar on the right (CTRL + E). 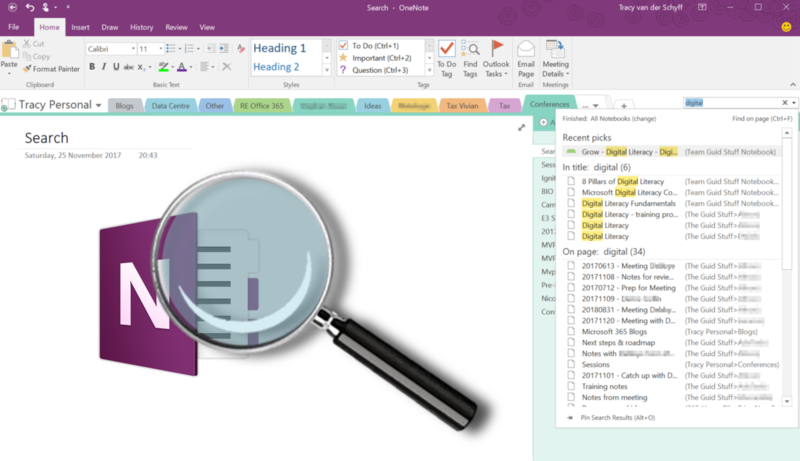 OneNote will find Titles and content (on page) that includes the search word. It also references the Notebook / Section / Page Name.